Ms Grace Fu was appointed Minister for Culture, Community and Youth on 1 October 2015. In addition, she chairs the National Integration Council, National Youth Council, and sits on the board of the People’s Association. She is also involved in a number of committees, including as co-chair of the Singapore-Zhejiang Economic and Trade Council, as well as the Ministerial Committee on Ageing and the Economic Strategies Committee. She has been a member of the Sino-Singapore Tianjin Eco-city Joint Steering Council since 2011. In 2012, she was a Minister in Prime Minister's Office, Second Minister for Foreign Affairs, and Second Minister for Environment and Water Resources. In 2014, she was put in charge of the Municipal Services Office. She also helmed senior appointments at various Ministries, including Ministry of National Development, Ministry of Education and the Ministry of Information, Communications and the Arts. Prior to joining political office, Ms Fu began her career with the Overseas Union Bank, and later with the Haw Par Group, in the areas of corporate planning, financial controls and business development. She subsequently joined the PSA Corporation and took on different responsibilities in finance and marketing. 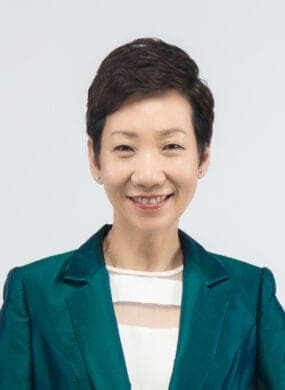 She held the position of Chief Executive Officer, PSA South East Asia and Japan, where she was responsible for the business performance of PSA’s flagship terminals in Singapore, Thailand, Brunei and Japan. Ms Fu is also a strong advocate for women in Singapore. She chairs the Women’s Wing of the People’s Action Party, and the Young Women’s Leadership Connection Council of Advisors.